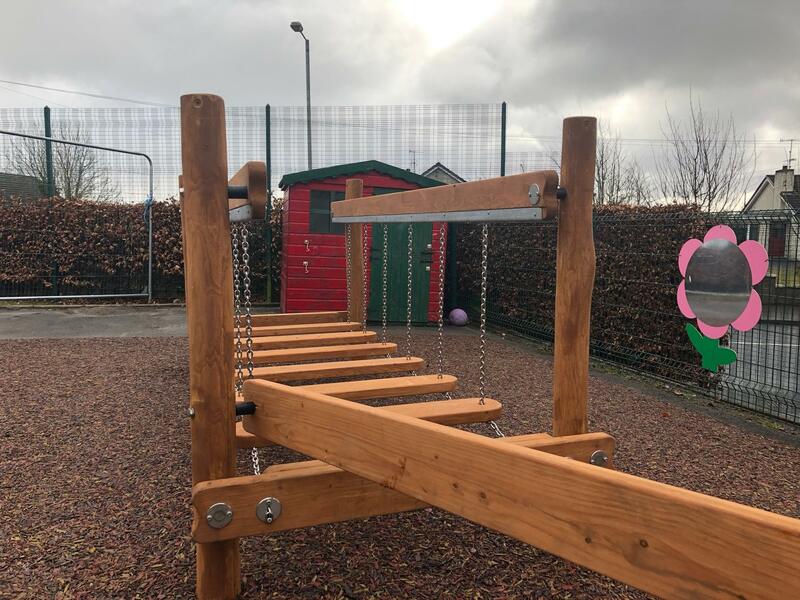 We are all delighted with the final result of our latest transformation at Stewartstown Primary School in County Tyrone. 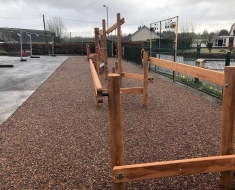 Our Lars Play team recently installed a fantastic Nature Playground Trim Trail and a 100m2 Tiger Mulch safety surface. 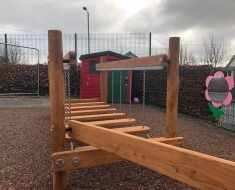 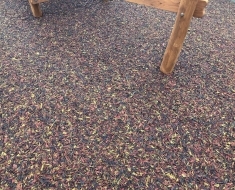 After a free site visit Lars Play recommended the installation of a Nature Trim Trail part of our Classic Nature Playground range which is physically challenging and helps develop balance and agility. 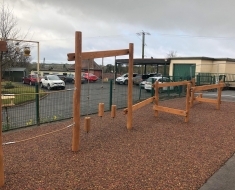 After a short consultation period we were delighted when the school chose to go ahead with the installation. 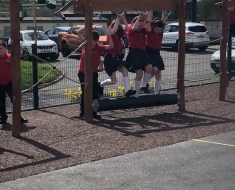 The final results are great and provide a fun and educational environment for all ages of pupils. 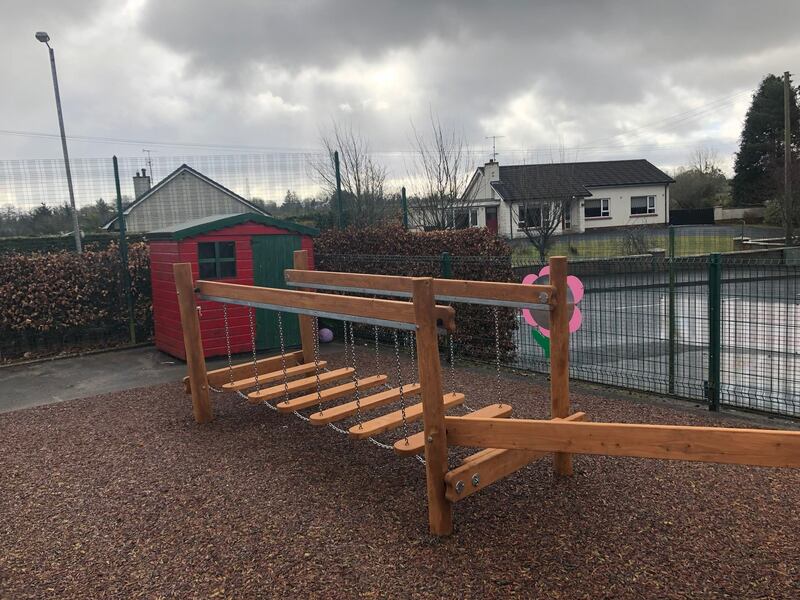 Stewartstown Primary School are delighted with the final result and have loved trialling it out! 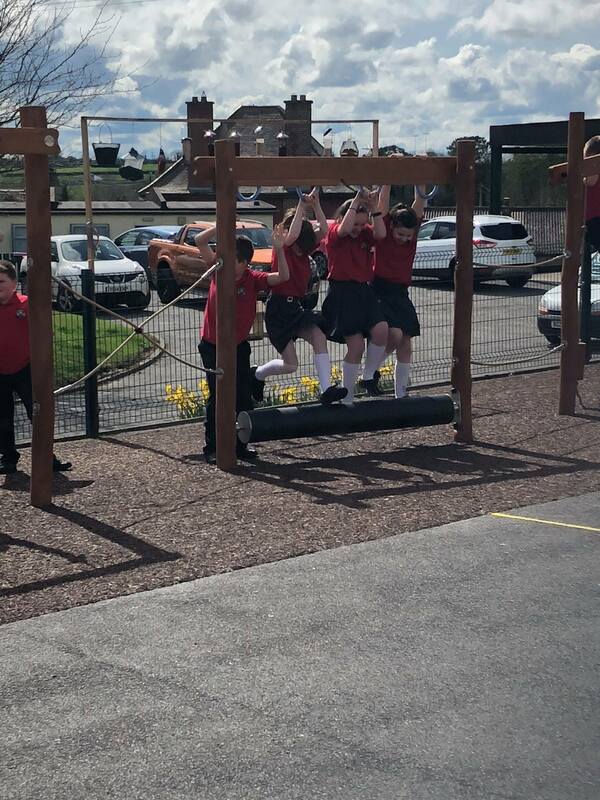 Playing outdoors increases flexibility and is related to the development of a wide variety of physical skills. 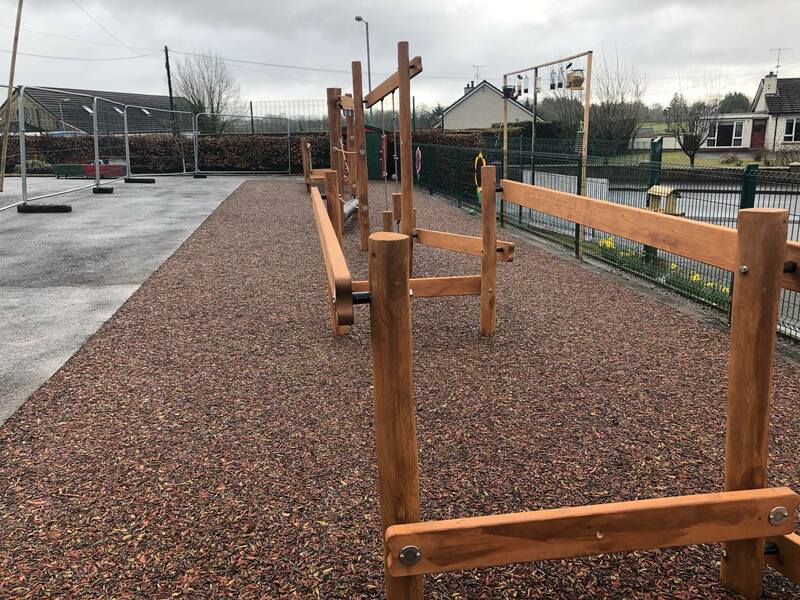 A Lars Play Trim Trail with appropriate safety surface is a fun and safe way to encourage children to exercise during school hours and be physically active. 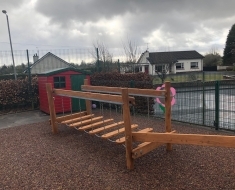 Access to a Trim Trail will provide children with an outlet for their energy, and will give them a play environment that they may not be able to access at home. 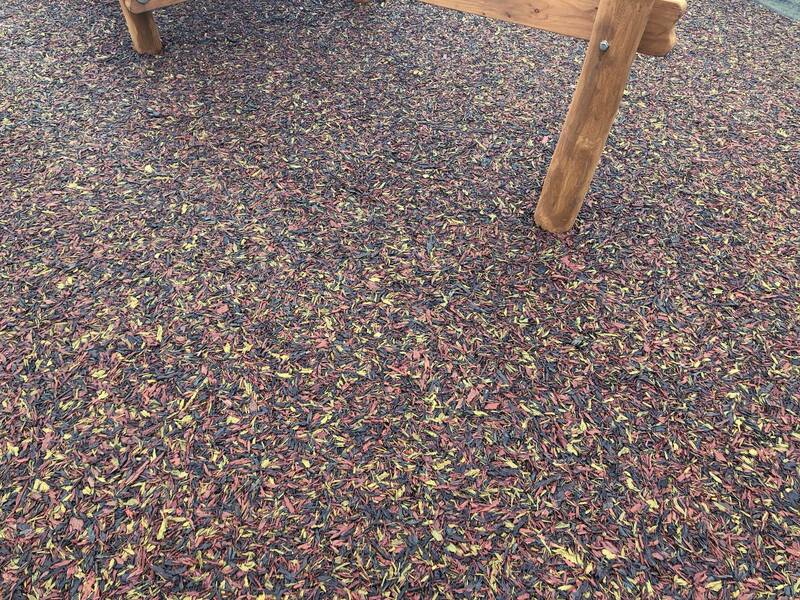 Our Classic Nature range is made of high quality components and is highly resistant to the ever changing weather conditions. 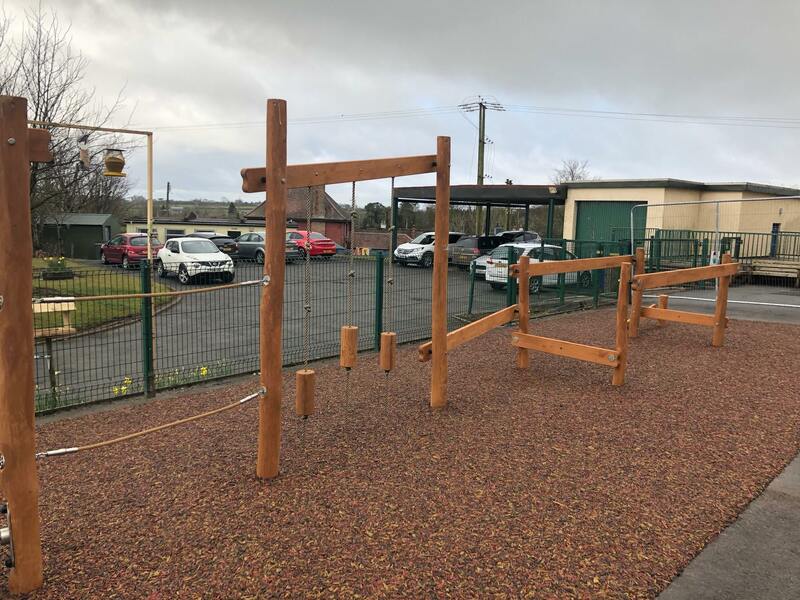 We are very proud to work with schools and provide new facilities, so if you are considering developing a Trim Trail or outdoor exercise area you can start the transformation process today by requesting a complimentary Lars Play site visit.